If you’re a romantic at heart we have some suggestions for where you can take your romance over the top when the next full moon arrives on September 6. Grab your girlfriend, boyfriend or significant other and spend the evening at any one of the following locations that are confirmed tried and true romantic spots that won’t be far from where you’re staying at Avista Resort. Riders take in the full moon along with coastline views from air-conditioned gondolas on this wheel that lights up nightly. The best place to watch sunsets any day of the week and a full moon too! 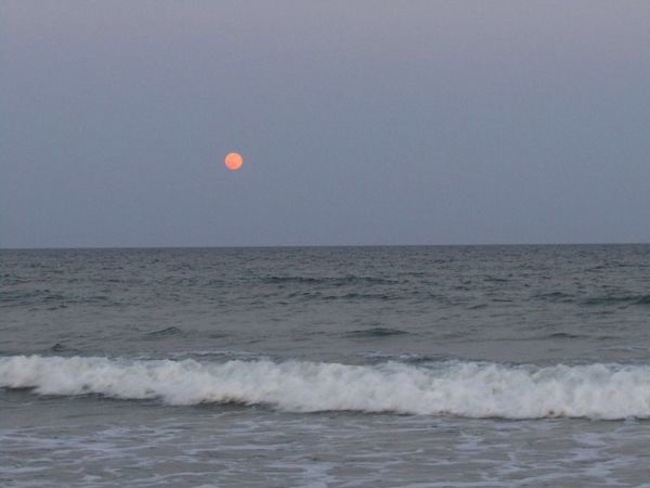 Enjoy the full moon while on a tour and learn all about wild dolphins in their natural habitat. Watch the full moon rise from open or enclosed seating on the porch and deck. Live entertainment. Aerial adventure park in a 5-acre forest, with a treetop obstacle course, zip-lines & climbing wall to enjoy the full moon from on top of. Vast wide beachfront ideal for walking no matter how high or low the tide is. Spread a blanket or bring lawn chairs and watch the moon come up. Float down the lazy river hand-in-hand beneath the full moon at this oceanfront water park located at Family Kingdom. Free admission will get you into this amusement park where you can experience the full moon while atop a Ferris wheel.